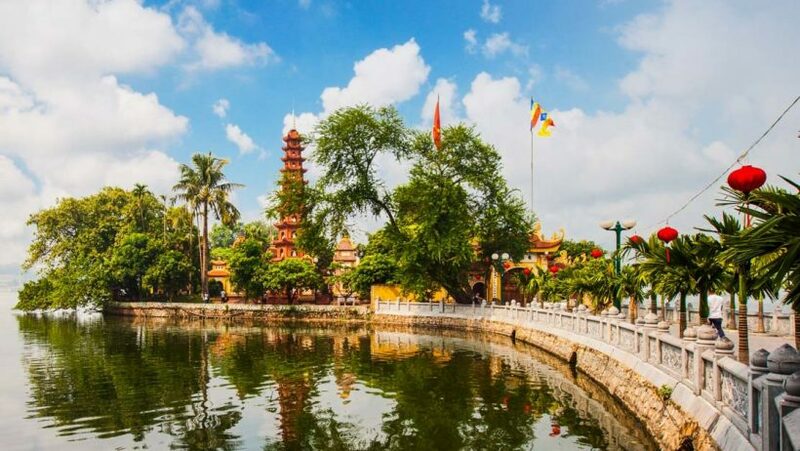 Two of the most significant features of Hanoi that linger in the memory of tourists are the traffic riot of motorbikes and the amazing collection of tasty street cuisine. 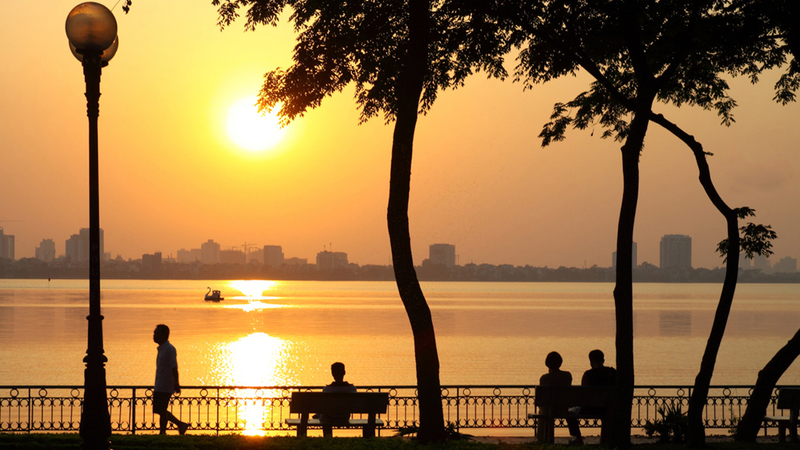 Why don’t you combine these and create the most special Hanoi city tour ever? 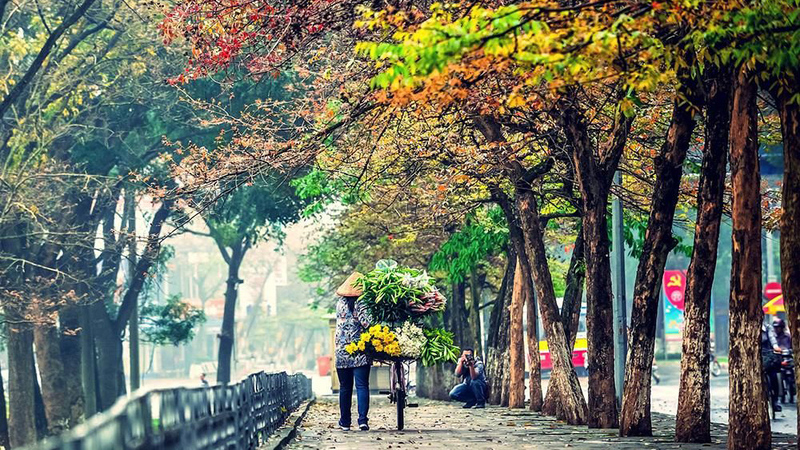 It is amazing how the culinary in Hanoi’s narrow alleys, on street paths and tree-lined boulevards is just as much a part of the city as its serene lakes and Vietnamese-French blended architecture. 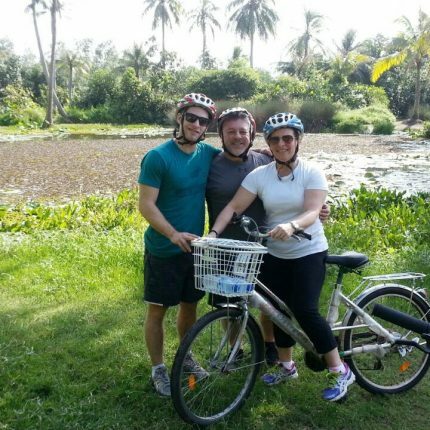 An other distinctive feature of this tour is the dream chance to mix in with local people through a real life traffic adventure on motorbike. The tour guide, with professionalism and a sense of humor, will ensure foreign visitors of a more than satisfying holiday. During these entire 4 hours, they will try out the following dishes: Xoi (sticky rice), Banh Gio, Banh Cuon (rolled rice cake) Pillow cake, Cha La Lot, Pho Cuon, Nom (Salad) Banh Khoi (sweet potato cake), grilled pork and egg coffee. Destination: Nguyen Huu Huan street – Ly Quoc Su street – Dong Xuan market – Ngu Xa – West Lake. 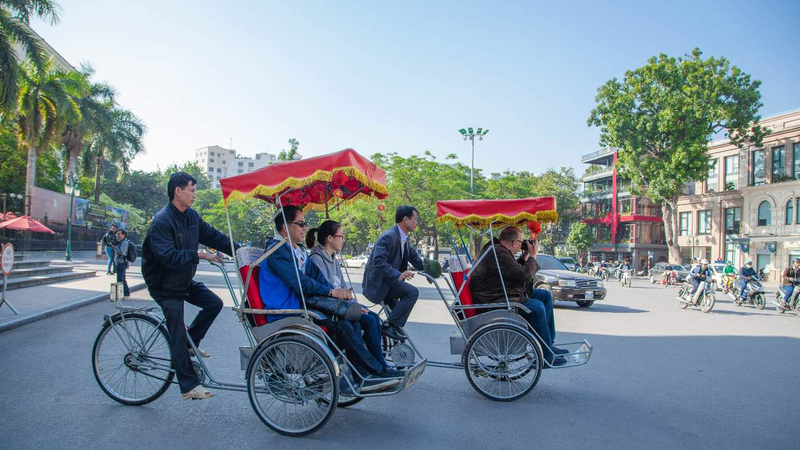 At 6:00 PM, our local guide and motorbike driver will come to pick you up from your hotel, then transfer you to our meeting point, Hanoi Opera House. You will be provided with brief and basic safety instructions and routine schedule. First, get on a bike and ride around Hoan Kiem lake, taking part in the crazy yet fun traffic. 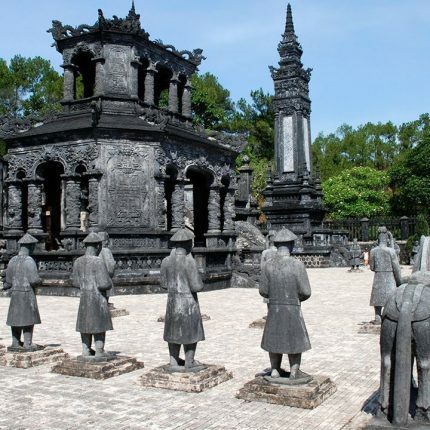 Stop by Ly Thai To statue for a quick introduction of Hanoi history. 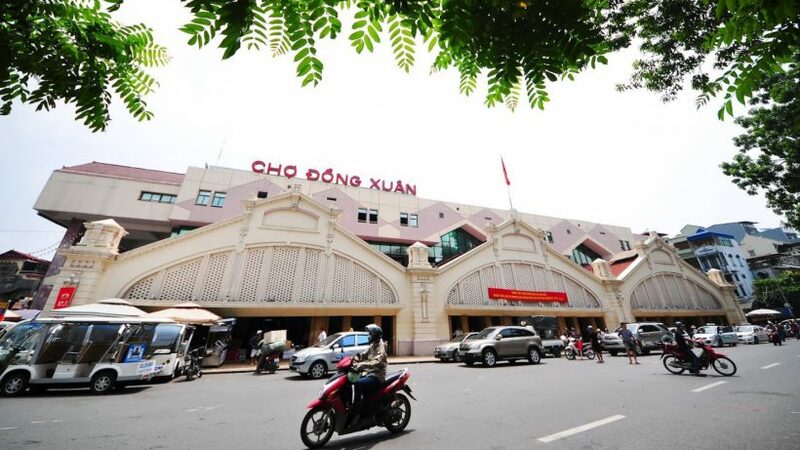 Our first foodie stop is on Nguyen Huu Huan street, where situated Xoi Yen, which is famous for sticky rice with toppings such as chicken, pate and pork. Continue go to the shortest street in Hanoi where Nom (papya salad with dry beef) is a specialty then, after a short walk, come to Dinh Liet street with its well-known kind of Banh Gio. After that, head to Ly Quoc Su street for another exciting culinary exploration. Try some Pillow cakes and spring rolls before continuing to west lake to enjoy the cool night air and the beauty of the lake bathing in neon lights. The next dish to try is Pho Cuon (wet rice paper rolled up with herb and beef). Now that our belly is filled, let’s go up the oldest bridge in Indochina and get to know more about the French occupation. Also, where is a more wonderful place to take a photo shoot of the charming Hanoi at night than Long Bien bridge? Go back to the old quarter for a little supper with noodle soup. Conclude the day with a cup of egg coffee, the unique present of Hanoi Tour ends at 10:00 in the evening. 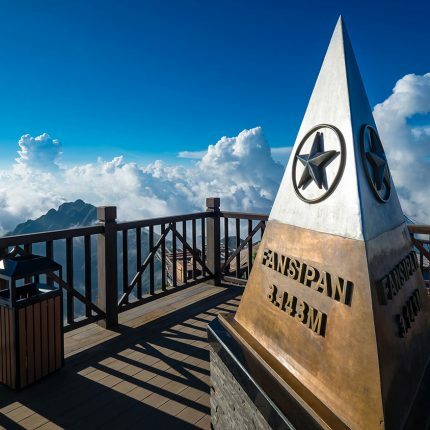 Sapa is a former French hill station, located in the middle of the breathtaking landscapes in the north of Vietnam.